As the sun sets, your brighter adventure begins. 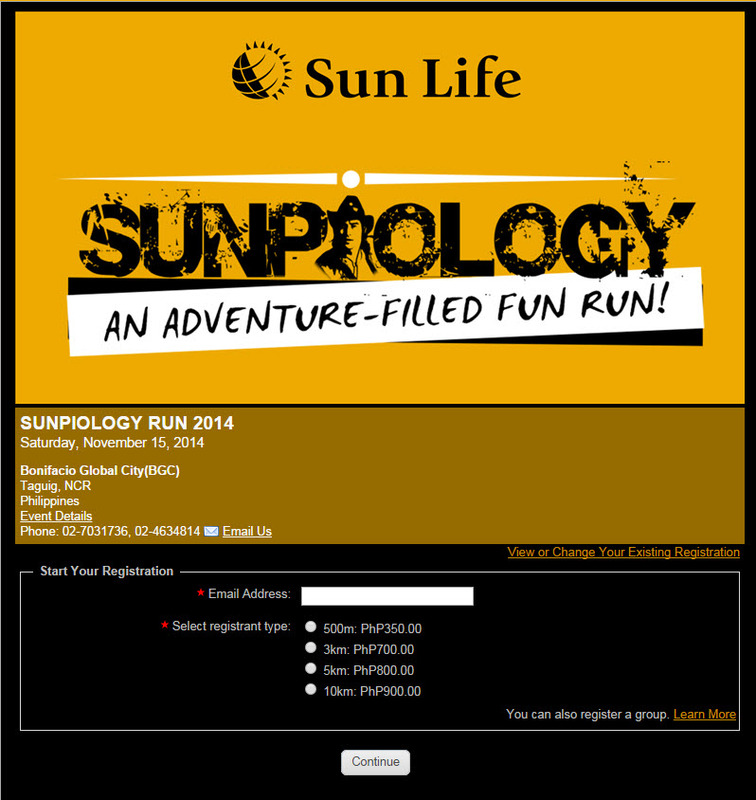 Conquer the elements of nature in the Sunpiology: An Adventure-Filled Run with the Stars with mazes and crawls adding excitement to your usual fun run. Leap to the holiday spirit because every mile you go brings supported scholars closer to finishing their education. Since we are surrounded by such a great cloud of witnesses, let’s throw off everything that hinders and the sin that so easily entangles and let us run with perseverance the race marked out for us. *** Additional P200 will be charged for race kit delivery: P150 delivery & processing fee & P50 web admin fee. For online (credit card) registrants: complete race kit will be delivered, sizes will be available online on a first-come, first-served basis. Delivery of race kit will be on or before November 12, 2014. For In-store registrants: Complete race kit will be given upon registration for actual runners. Singlet sizes will be on a first-come, first-served basis. No additional fees will be applied. 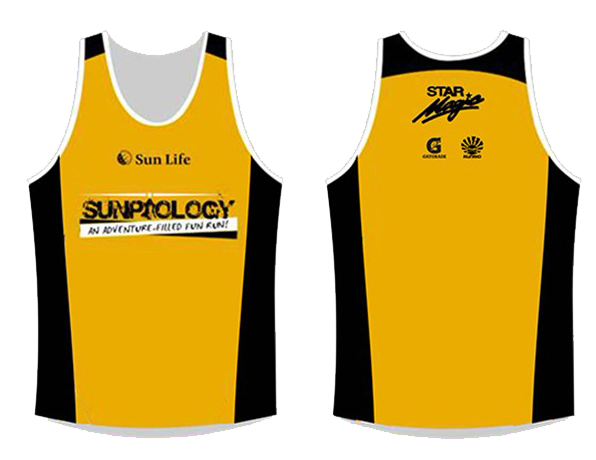 Sunpiology run however will be very different as Sun Life and Coach Rio use the 4 elements of nature to bring runners an adventure-filled sunset run! The event is expected to be star-studded with the participation of Piolo Pascual and his co-Star Magic artists namely Jane Oineza, Ynna Asistio, Francis Magundayao, Trina Legaspi, CJ Novato, Jovit Baldivino, Markki stroemm, Igiboy Flores, former PBB all in housemates Aina Solano, Axel Torres, Fifth Solomon, Fourth Solomon, Joshua Garcia, Loisa Andalio, Manolo Pedrosa, Maris Racal, Nichole Barranda, Vickie Rushton, Rayver Cruz, Ejay Falcon, Joem Bascon, Jessy Mendiola, Matteo Guidicelli and many more surprise guests.